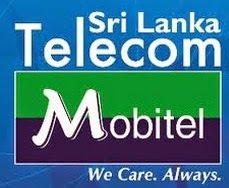 There are so many Mobitel special packages available in Sri Lanka.But the thing is sometimes these packages are not selling @ Mobitel arcades.Today I bought one of these Mobitel special package and now I'm using it.Actually it is amazing and superb than Mobitel"UPAHARA"package.So if you want to buy one of these special packages,I can contact you with the person whom I bought this package. M to M 50 minutes free daily. pls give me the informations how i buy this package. plzzzz give me the information how i buy this package. Meka postpaid da prepaid da? How can I buy a Upahara mobitel package. Can u send me the details of this package. please email me the contact details of the person you bought this special mobitel package.